How much is Benazir Bhutto Worth? Benazir Bhutto Net Worth: Benazir Bhutto was a Pakistani politician and stateswoman who had a net worth of $850 million. Benazir Bhutto (21 June 1953 – 27 December 2007) was born in Karachi, Sindh, Dominion of Pakistan, as the eldest child of former prime minister Zulfikar Ali Bhutto. 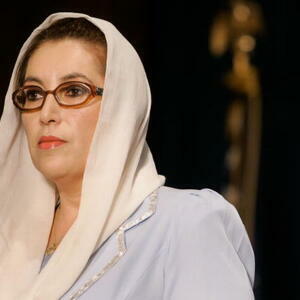 Benazir satisfied her lust for knowledge abroad as she earned undergraduate degrees from Radcliffe College (1973) in the U.S. and Oxford (1976) in England. She was already in Pakistan when her father was deposed, imprisoned, and finally executed after a 1977 military coup. Benazir herself got imprisoned few consecutive times, so she had no other choice but to leave for exile in London. Over the years, Benazir Bhutto began to be politically active via her father's political party, the liberal Pakistan People's Party (PPP), and got back to Pakistan in 1986. Her political pedigree and reformist attitude, accompanied with her stunning looks, helped her became prime minister in 1988. She had since turned into one of the most prominent women in the world and was often regarded as a symbol of progress in women's rights. 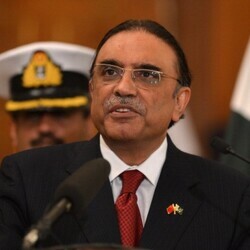 However, both of her terms as prime minister (1988-90 and 1993-96) ended in controversy, with corruption charges against Bhutto and her husband, Asif Ali Zardari. She was forced into exile once again in 1999, but this time she spent her nine-year self-exile in Dubai, United Arab Emirates. Bhutto returned to Pakistan in October of 2007 to lead her party in upcoming national elections. Unfortunately, she was assassinated at a campaign rally in Rawalpindi by an attacker who then blew himself up. The next year, Benazir Bhutto was named one of the seven winners of the United Nations Prize in the Field of Human Rights.